Home/Blog/ Distribution, Marketing, Video/6 Amazing Video Websites… That Aren’t YouTube! 6 Amazing Video Websites… That Aren’t YouTube! What’s the first thing that pops into your mind when you think about online video websites? YouTube, right? It’s not a surprise – YouTube is the go-to site for many people, even for us here at Yum Yum Videos! But it’s not the only option out there – there are many other video websites on the internet. Video is a really huge part of the online experience nowadays, because it’s the most engaging kind of content (and also, the one with the greatest ROI), so it’s also a vital part of many online marketing campaigns. So, being as important as it is, video users need to know their options. YouTube is great, but today we’ll show you our 6 favorites alternatives for online video! You probably already knew this one, right? Vimeo is one of the most famous alternatives to YouTube out there, and it’s widely used by artists and filmmakers. This is because Vimeo is known for its high quality content and its fully engaged community. Here, you’ll find people who are truly interested in film quality – an audience that truly appreciates video. It’s a platform that fully encourages artists and creative professionals to show off their work: Here you won’t find a ten-hour video of a bear dancing to “Sweet Dreams”. Instead, you’ll find thoughtful and interesting content. Vimeo is your place if you want to show your work– the kind of work that you’re proud of! Metacafe is also a very old video platform – it’s been around since 2003 (so it’s even older than YouTube, which was born two years later, in 2005!). It specializes in short video content, and -unlike Vimeo- you won’t find professional or artsy video content here. Instead, you’ll find short videos made by everyday users, like reviews of products or services, how-to videos and all kinds of funny content. The Internet Archive is a web-based library of every kind of content related to the internet (as its name suggests, of course). You’ll find all sorts of free content, from books to software… and, of course, videos. One of the coolest things about The Internet Archive is that they keep a vast historical record of content uploaded to the internet. So, this is your place if you’re looking for obscure news reports, TV series, documentaries and movies that would be very difficult to find anywhere else. Just like a physical library, you can look through videos on The Internet Archive by year, language, topic and subjects. Also, anyone can contribute to this collection by uploading content for free. For the ones that are not into obscure video content and historical archives, here comes a website that’s only devoted to funny videos. 9GagTV describes itself as “the easiest way to have fun!” and “the best content platform for millennials”, and they’re probably right. 9GagTV was born from 9Gag, a platform made for sharing funny memes and gifs. As video content started to grow, a new website solely dedicated to video was born! It has a very vast collection of funny videos, movies and engaging content – with categories like WOW, WTF and NSFW. So, if you’re looking for a good laugh, 9GagTV has got you covered. You just have to click on one of the videos, and you’ll probably end up browsing and laughing for hours. Not recommended if you’re trying to avoid procrastination! Dailymotion is another platform that follows a similar structure to YouTube, with a similar interface. 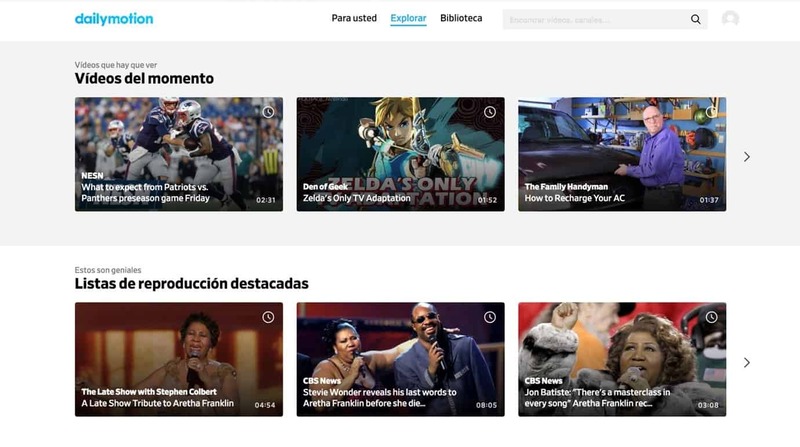 You can find trending videos on the homepage or discover more through the categories section and the search bar. It has a more flexible copyright policy than YouTube, so there is better tolerance for content uploaders. Maybe this is why it has around 112 million visitors per month! 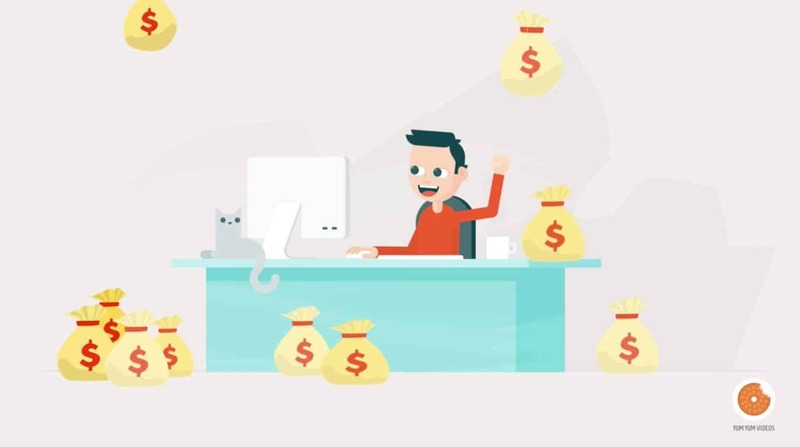 Another thing that makes it special is the fact that users can monetize their videos through ads or a paywall. This is why you’ll find some videos with ads, and others completely free. However, this is an optional feature, and the users that upload the videos can choose whether to monetize them or not. One of the latests platforms for video watching on mobile and a strong competitor to YouTube, Instagram TV seems to be here to stay. 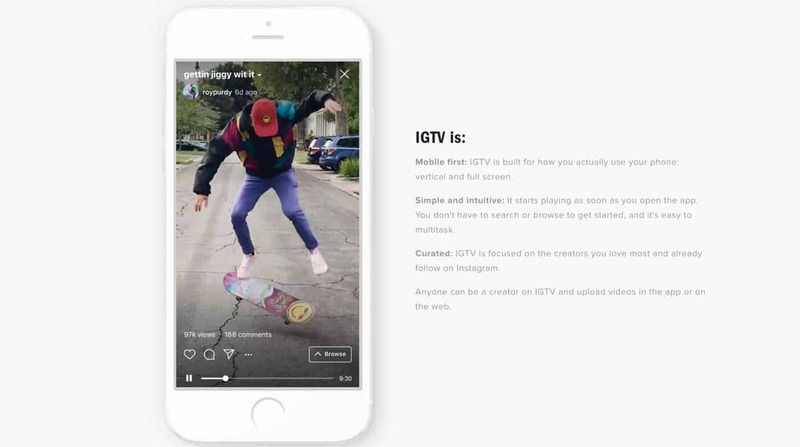 The special thing about IGTV is that their videos are especially tailored for mobile users– you can only browse through the app, and this is why all videos on this platform are vertical and full-screen. Videos uploaded on IGTV can be up to 60 minutes in length (15 minutes if your account is un-verified), and if you’re a content creator, it’s one of the greatest platforms to showcase your work to a large audience. Users are able to browse through accounts they follow, or simply browse through a feed containing curated content based on their interests. The rise and popularity of IGTV confirms one thing – the future of video is mobile. Lately, the trend is marked by full-screen video, in a vertical format (a 16:9 ratio), and a completely intuitive interface (swiping left or right for changing videos, and swiping up for browsing – but that’s it). All meant to simplify the mobile experience for video platforms! Even though YouTube is the biggest platform for online video (and with its 1.8 billion monthly users – it definitely is the biggest dog! ), there are many other great options out there. So don’t be afraid to upload your content on another platform: this will help you reach different kinds of audiences! Not everyone is on YouTube: Creatives and filmmakers, for example, usually go for Vimeo instead. People looking for fun and memes, they’ll be on 9gag instead of YouTube! So look at this as an advantage, and expand your video’s reach! Easy as pie. But, of course, we wouldn’t recommend that you neglect YouTube at all. In fact, YouTube – as the second largest search engine on the internet – holds a lot of power, so even if you expand your horizons and upload your content on other websites, remember how important it is to rank #1 on YouTube. If you think that’s impossible – don’t worry, we’ve got you covered. We have a free ebook about that, complete with a real case study… enjoy!